In recent years, very few nutrients have been studied as thoroughly as omega-3 fatty acids, also known as ω-3 fatty acids or n-3 fatty acids. There are three types of omega-3 fatty acids – alpha-linolenic acid (ALA), eicosapentaenoic acid (EPA) and docosahexaenoic acid (DHA). As these essential fatty acids cannot be sufficiently produced by the body, they must be obtained through dietary sources. They come from both animal and plant sources. The most widely available dietary source of EPA and DHA is oily fish, such as salmon, herring, mackerel, anchovies, menhaden and sardines. Some of the primary plant sources are flaxseed, chia and hemp. Belonging to the family of polyunsaturated fats, omega-3 fatty acids display remarkable abilities to combat and prevent diseases and provide vital health benefits to the human body. 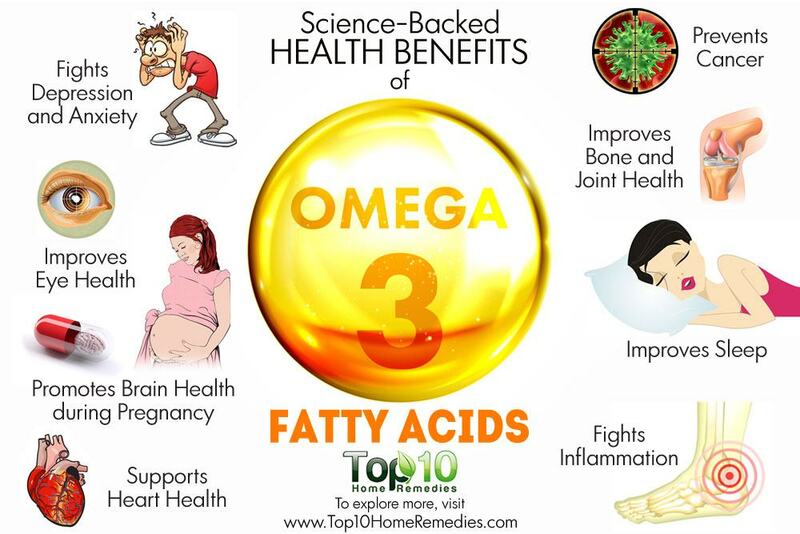 These fatty acids are incredibly important for physical as well as mental health. Here are the top 10 science-backed health benefits of omega-3 fatty acids. Omega-3 fatty acids can help fight depression and anxiety, two common mental health issues that people suffer from. These fatty acids help improve mood and restore structural integrity to brain cells that are critical in performing cognitive functions. This is turn reduces depression symptoms, such as sadness, lethargy, nervousness and a general loss of interest in life. Of the three omega-3 fatty acids, EPA appears to be the best at fighting depression and managing cognitive decline. A 2004 study published in Lipids Health and Disease reports that there is enough epidemiological, laboratory and clinical evidence to suggest that omega-3 fatty acids may play a positive role in the treatment of depression. Later, a 2009 study published in CNS Neuroscience Therapeutics reported that omega-3 fatty acids were shown to be more effective than placebos for depression in both adults and children in small controlled studies and in an open study of bipolar depression. 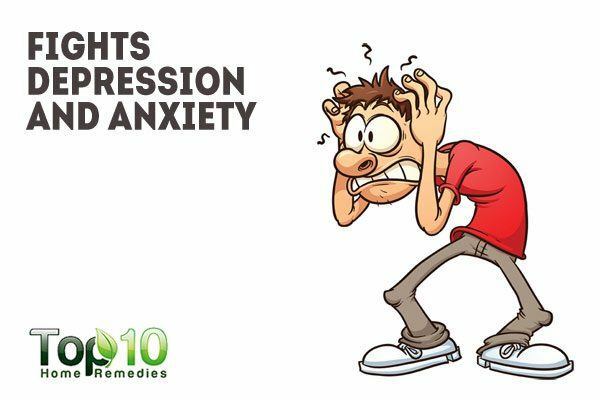 A 2008 study published in the Australian and New Zealand Journal of Psychiatry reports that EPA is as effective against depression as fluoxetine, an antidepressant drug, in the treatment of major depressive disorder. Another study published in 2013 in European Neuropsychopharmacology reports that EPA is more effective as compared to DHA or placebos as an adjunctive treatment in mild to moderate depression. Omega-3 fatty acids benefit the heart in healthy people as well as those who are at high risk of cardiovascular disease. This essential nutrient can reduce the risk of arrhythmias (abnormal heartbeats) that can lead to sudden death. Plus, it helps reduce triglyceride levels and lower blood pressure. 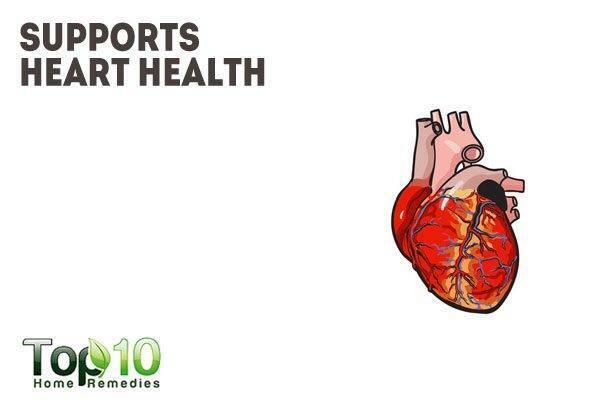 Its anti-inflammatory nature helps keep the arteries smooth and free from damage, which in turn helps prevent the plaque that can restrict and harden the arteries. It also keeps blood platelets from clumping together. This helps prevent harmful blood clots. A 2008 study published in the American Journal of Clinical Nutrition reports that fish oil fatty acids have beneficial effects on coronary heart disease. A 2003 study published in Lipids reports that increased consumption of fish as a source of n-3 fatty acids is beneficially associated with levels of high-density lipoproteins (HDL or the ‘good’ cholesterol) and triacylglycerols. A 2013 study published in the Indian Journal of Endocrinology and Metabolism concludes that a fish a day keeps the cardiologist away. Seafood consumption or fish oil supplementation helps decrease cardiac dysrhythmias, reduce sudden death, decrease the rate of atherosclerosis and slightly lower blood pressure. A 2011 study published in the Journal of the American College of Cardiology reports that n-3 polyunsaturated fatty acids are bioactive compounds that reduce the risk of cardiac death. A 2015 study published in Circulation also suggests that consuming omega-3 fatty acids may reduce the risk of death from heart disease for both men and women. Omega-3 fatty acid consumption has also been shown to modestly reduce resting blood pressure and decrease body fat levels, both of which can improve heart health. Omega-3 fatty acids are crucial for brain growth and development in infants. DHA, in particular, accounts for 40 percent of the polyunsaturated fatty acids in the brain. 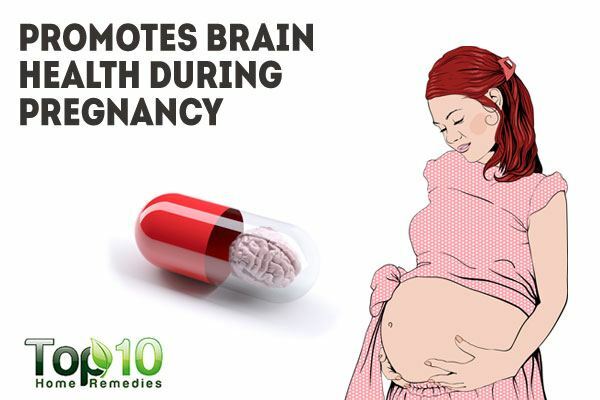 Thus, pregnant mothers need this essential nutrient during pregnancy to support their baby’s brain development. A 2003 study published in Pediatrics reports that maternal supplementation with very-long-chain n-3 fatty acids during pregnancy and lactation have a positive influence on children’s IQ at 4 years of age. A 2010 study published in Reviews in Obstetrics & Gynecology reports that during pregnancy, omega-3 requirements are higher than normal in order to support fetal growth, particularly of the brain and eyes. Even infants should be fed an adequate amount of fatty acids for higher intelligence, less behavioral problems and reduced risk of attention-deficit/hyperactivity disorder (ADHD), autism and cerebral palsy. A 2005 study published in the Indian Journal of Pediatrics reports that intake of essential fatty acids and DHA during preschool years may also have a beneficial role in the prevention of ADHD as well as enhancing learning capability and academic performance. A 2013 study published in Food & Function shows that DHA and arachidonic acid (AA) supplementation have desirable influences on visual and cognitive development in early life, and is additionally associated with potential benefits on later health. A 2014 study published in Medical Hypotheses reports that DHA is beneficial in preventing cerebral palsy, autism spectrum disorder and ADHD in children by more than 75 percent. Omega-3 fatty acids also help reduce cancer risk and manage certain cancers. People who consume fish rich in omega-3 fatty acids have lower incidences of breast, prostate and colon cancer than people who consume less omega-3s. These fatty acids help reduce the production of enzymes that promote cancer cell growth, increase the rate of cancer cell death and suppress the formation of new blood vessels required for cancer cells to grow. A 2007 study published in the American Journal of Epidemiology reports that increased consumption of omega-3 polyunsaturated fatty acids is linked to reduced risk of colorectal cancer. A 2013 study published in the European Journal of Cancer Prevention also confirms the connection between increased consumption of n-3 polyunsaturated fat and reduced risk of colorectal cancer. A 2015 study published in Breast Cancer Research reports that the inflammation-resolving properties and favorable effects of EPA and DHA on oncogenic proteins, as well as on the cardiovascular, bone and central nervous systems, help prevent primary and secondary breast cancer. 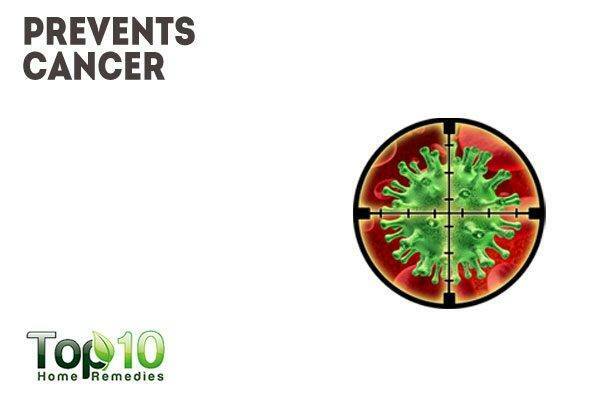 Chronic inflammation can contribute to heart disease, cancer and various other diseases. To curb inflammation, omega-3 fatty acids are highly beneficial. Omega-3 fatty acids have anti-inflammatory properties that can reduce the production of molecules and substances linked to inflammation, such as inflammatory eicosanoids and cytokines. A 2002 study published in the Journal of American College of Nutrition reports that omega-3 fatty acids have a positive influence in inflammation and autoimmune diseases. A 2003 study published in Lipids reports that oral fish oil supplementation has beneficial effects in rheumatoid arthritis and among some asthmatics, supporting the idea that the n-3 fatty acids in fish oil are anti-inflammatory. There are indications that the inclusion of fish oil in enteral and parenteral formulas is beneficial to patients. A 2004 study published in Current Atherosclerosis Reports concludes that omega-3 fatty acids play an important role in stopping the progression of atherosclerosis to chronic inflammation via modulation of the inflammatory processes. A 2010 study published in Nutrients reports that long-chain fatty acids influence inflammation through a variety of mechanisms. Many of these are mediated by, or at least associated with, changes in fatty acid composition of cell membranes. A 2011 study published in Brain, Behavior and Immunity also reports that omega-3 supplementation lowers inflammation and anxiety in healthy young adults. When taking healthy fats to reduce inflammation, take a higher omega-3 to omega-6 fatty acid ratio as omega-6 fatty acids promote inflammation. Omega-3 fatty acids are also beneficial in reducing the risk of osteoporosis and arthritis, as they support bone and joint health. Increased intake of DHA, in particular, increases bone mineral content and produces healthier, stronger bones. These fatty acids improve bone strength by increasing the amount of calcium in the bones. This in turn reduces the risk of osteoporosis. 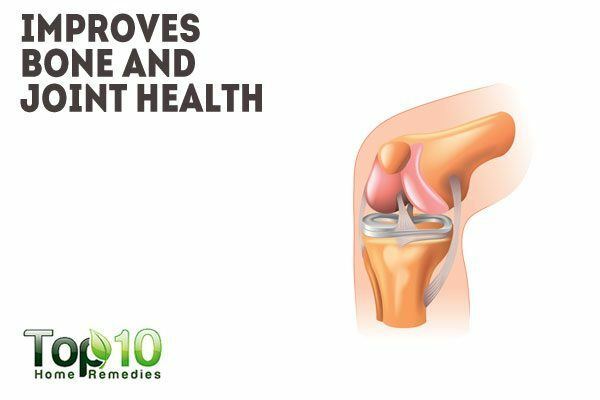 Plus, they are beneficial for bone health by lessening inflammation through a large number of mechanisms. Inflammation activates osteoclasts, the specialized cells that break down bones. A 2005 study published in the American Journal of Clinical Nutrition reports that a higher ratio of n−6 to n−3 fatty acids is associated with lower bone mineral density at the hip in both sexes. These findings suggest that the relative amounts of dietary polyunsaturated fatty acids may play a vital role in preserving skeletal integrity in people of older ages. A 2009 study published in Current Pharmaceuticals Design analyzed several studies and concluded that a higher dietary omega-3 and omega-6 fatty acids ratio is associated with beneficial effects on bone health in animals. However, for humans more conclusive studies are needed. A 2012 study published in the British Journal of Nutrition addresses the positive role of both plant-based and marine sources of n-3 fatty acids for reducing risk for osteoporosis. Omega-3 fatty acids play a major role in enhancing the secretion of melatonin, a hormone that helps regulate the sleep and wake cycles and is often used to treat insomnia and jet lag. Also, EPA and DHA help lower norepinephrine levels, a stress hormone associated with the fight-or-flight response and can negatively affect sleep patterns and lead to daytime drowsiness. A 2011 study published in the Journal of Clinical Sleep Medicine concludes that there is a link between low DHA status and less mature sleep patterns in newborns. Another study published in Food & Nutrition Research in 2012 reports that fatty acid status can influence melatonin synthesis. In rodents, an n-3 deficient diet reduces nighttime melatonin secretion, which returns to normal with supplemented DHA. Again, a 2014 study published in the Journal of Sleep Research reports that higher blood levels of DHA may relate to better child sleep, as rated by parents. Omega-3 fatty acids can help reduce discomfort associated with menstrual cramps. In fact, low omega-3 blood concentrations are linked with increased menstrual pain. 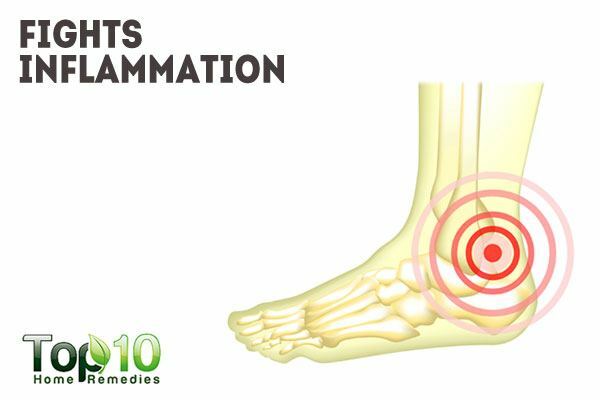 The pain occurs when the cell membranes release omega-6 fatty acids, which produce pro-inflammatory eicosanoids. A 1995 study published in the European Journal of Clinical Nutrition shows the association between menstrual pain and low intake of n-3 polyunsaturated fatty acids. The results were highly significant and mutually consistent and supported the hypothesis that a higher intake of marine n-3 fatty acids correlates with milder menstrual symptoms. 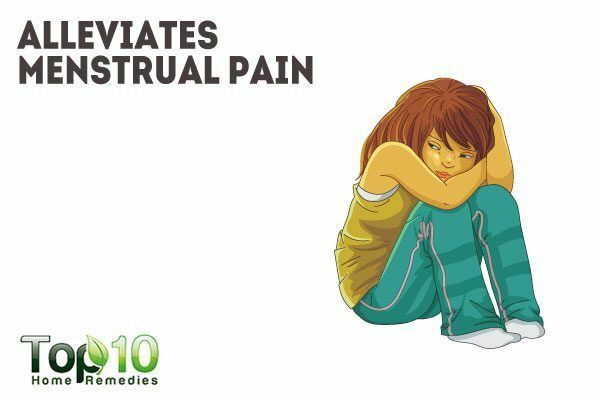 A 2011 study published in the Caspian Journal of Internal Medicine shows that the efficacy of fish oil is better than ibuprofen in the treatment of severe pain in primary dysmenorrhea. Similarly, a 2012 study published in the International Journal of Gynecology and Obstetrics reports that supplementation with omega-3 fatty acids reduced the symptom intensity of primary dysmenorrhea. In fact, supplementation efficacy was sufficient to decrease the ibuprofen rescue dose. Fatty acids work as natural emollients that revitalize dry skin. Being rich in polyunsaturated fats, they help restore fats lost in the skin, thus eradicating dryness. These fatty acids are crucial nutrients needed to help repair damaged skin cells. Repairing damaged cell membranes helps make the skin more resilient to internal and external threats. 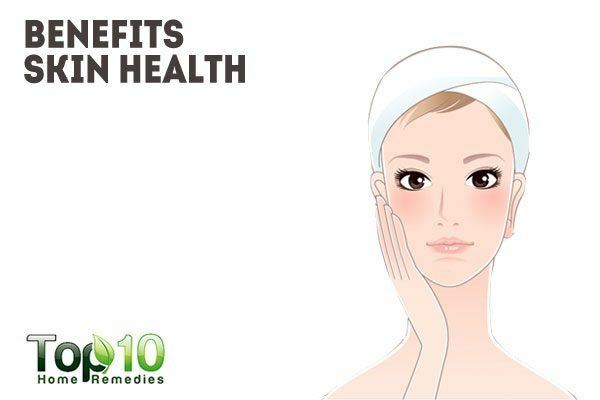 They also have anti-inflammatory properties that reduce redness and swelling as well as limiting inflammation, all greatly positive aspects for healthy skin. 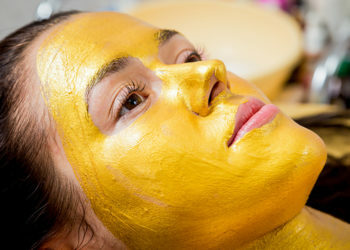 They can lead to a visible reduction in inflammatory skin conditions like acne and psoriasis. A 2001 study published in the American Journal of Clinical Nutrition reports that supplementation of the habitual diet with vitamins, carotenoids or polyunsaturated fatty acids, or a combination thereof, may protect the whole body against ultraviolet (UV) irradiation-induced damage. A 2010 study published in Clinics in Dermatology reports that fatty acids are showing promise as safe adjunctive treatments for many skin disorders, including atopic dermatitis, psoriasis, acne vulgaris, systemic lupus erythematosus, non-melanoma skin cancer and melanoma. This essential nutrient is also beneficial for vision health. In fact, DHA is a major structural component of the brain and the retina of the eye, hence not getting enough DHA can cause vision impairment and blindness. Omega-3s also help regulate blood vessel growth in the eyes. 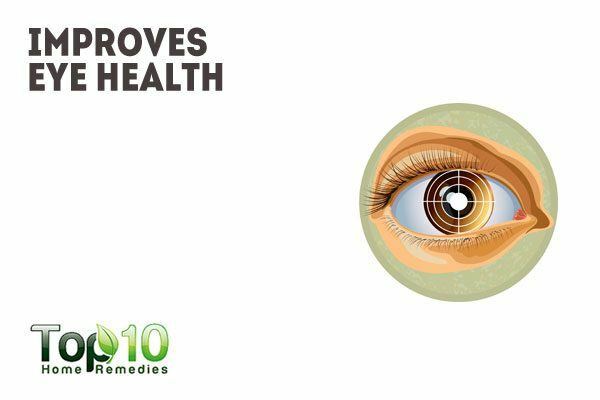 This aids in preventing eye diseases like retinopathy, caused by an overgrowth of leaky blood vessels in the eyes, and age-related macular degeneration. A 2005 study published in Progress in Retina and Eye Research suggests that omega-3 fatty acids may act in a protective role against ischemia, light, oxygen, inflammatory, and age-associated pathology of the vascular and neural retina. A 2014 study published in Investigative Ophthalmology & Visual Science reports that both EPA and DHA are beneficial at preventing and reducing the risk of age-related macular degeneration. Another 2014 study published in Survey in Ophthalmology confirms that omega-3 fatty acids could have a protective role in age-related macular degeneration. Thanks for the information but how much Omega 3 is ideal?